On July 31, 2017, the Danish Navy medevaced an injured sailor from the "Baltico" at 1.25 p.m. 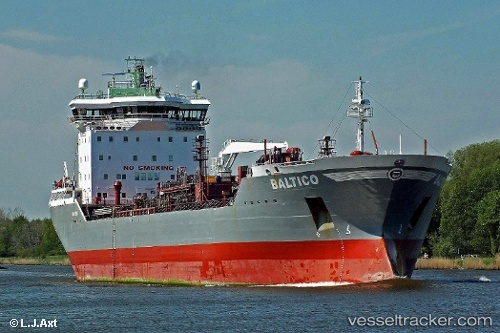 The ship was in the Odense Fjord and had encountered engine trouble and a fire on board. The patient was flown to the Odense University Hospital. The tanker berthed at Fredericia on Aug 1 at 7 a.m.